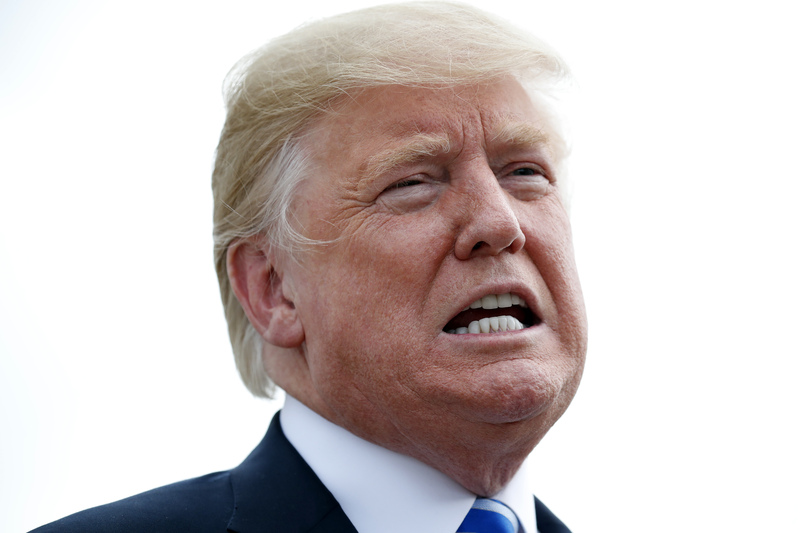 WASHINGTON (CN) – An attorney for President Trump urged a federal judge Tuesday to give his client immunity from a lawsuit claiming that his job as president gives his swanky hotel in the nation’s capital an unfair advantage over local businesses. The president, Morgan Lewis attorney Eric Sitarchuk argued in court, can’t make decisions for the American people if bogged down with concerns that creative lawyers will “conjure up” lawsuits like the one Cork Wine Bar brought after Trump was elected. “The president truly does occupy a unique role in our constitutional scheme,” Sitarchuk said during a roughly 45-minute hearing Tuesday afternoon. It’s critical, he said, that the president be able to execute the powers of the office without fear of litigation. Sitarchuk argued that presidential immunity bars the lawsuit since District of Columbia law applies only to those holding municipal offices, and has no power to regulate the presidency. Allowing the lawsuit to proceed would have a “chilling effect,” Sitarchuk said, adding that states shouldn’t be allowed to lob additional restrictions on the presidency, which would interfere with the ability of the American people to elect who they want as president. The wine bar sued the president and Trump Old Post Office LLC back in March 2017 in the Superior Court for unfair competition under common law in the district. President Trump moved to transfer the case to the federal court, after which both he and his company asked the court to dismiss the lawsuit. Cork alleges that the terms of the lease for the old Post Office building prohibit the kind of unfair advantage the Trump International Hotel has gained with lobbyists, elected officials and foreign dignitaries over other district-based businesses. Once able to lure in a hefty slice of such clientele, Cork claims that competition favoring the Trump International Hotel spiked once Trump was elected due to the perception that patronizing the hotel would be advantageous in any dealings with the president. Cork claims the president and his family – and even White House staff and advisers – have promoted the hotel, rather than taking steps to avoid exploiting the presidency for private gain. One section of the 2013 lease with the General Services Administration forbids the president from receiving benefits from the hotel after being elected, and protects competitors from unfair competition, Cork claims. But Esther McDonald, an attorney for Trump Old Post Office LLC, says the statute governing unfair competition in the district is narrow, and limited to certain acts. “The act of being president and owning a hotel is not one of those acts,” McDonald said during Tuesday’s hearing. Mark Zaid, one of the attorneys representing Cork, contested the assertion that the law is that specific during an interview after the hearing. Zaid added that Cork’s claim isn’t a “neat fit” with prior categories that have been created over the years, but noted that the circumstances of Trump’s business empire and wealth are unusual. Zaid’s law partner, Bradley Moss, echoed that sentiment, asserting that while other presidents fully divested their business interests, Trump has promoted his while in office. “The courts never had to consider that kind of circumstance, that situation. Something that’s so far beyond the outer perimeters of the office,” Moss said. Earlier, Cork attorney Alan Morrison from George Washington University Law School urged U.S. District Judge Richard Leon to advance the lawsuit, noting that the courts have been silent on the issue of unfair competition in the district for about 30 years. Morrison argued that immunity doesn’t apply to the president’s non-official acts in office – such as promoting the Trump International Hotel – and tried to emphasize that the lawsuit won’t interfere with the ability of Trump to carry out his official duties as president. “Nothing we are seeking here would’ve prevented the president from becoming the president,” Morrison said. Cork has asked the court to order Trump Old Post Office LLC to cease operations for the duration of Trump’s presidency, or to order the company and the president and his family, to fully divest from the hotel. Morrison urged Leon to kick the case back to the Superior Court if he decides to remove Trump as a defendant in the case, while attorney Zaid said they plan to appeal to the D.C. Circuit if Leon dismisses the case entirely. Leon said he would issue a ruling in the case within a few months.